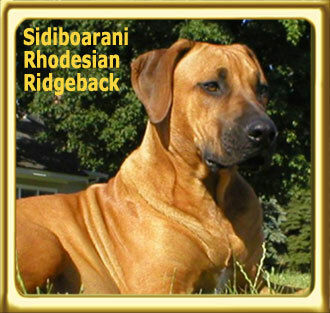 < A purebred Rhodesian Ridgeback. Psyche Williams: The Rhodesian is the easiest dog in the world to train because they are so willing to learn. Mistaken for stubborn from amateur owners that are unable to differentiate between bullheaded and just plain bored. Once a RR learns a command or task, repetition puts them to sleep. Allex Michael: I totally agree. Ebbey can be taught to do something in only a few repetitions. The problem is getting her to do it again down the road. She knows what you want, but is a "Been There, Done That' doggie. Owners I spoke with mentioned their dogs are not exactly duty bound when it comes to training. I have also received several emails from frustrated ridgeback owners wondering how I trained Ebbey.